Borden Waste-Away Service, Inc. was recently featured in the Elkhart Truth in an effort to answer a weekly "Ask The Truth" question. The question posed by readers was, in a sense, two-fold. "Do trash collectors separate trash from recycling inside the truck as they are collecting it?" and "Why are all recycling containers, both residentially and at drop-off centers, serviced by the same truck?" Both excellent questions. At Borden Waste-Away, trash and recycling are never picked up together in the same truck. With Borden Waste-Away's Single Stream recycling process, all recycling is picked up with completely separate trucks than those that service trash. The trucks do, essentially, look identical but are dedicated to only picking up one specific type of material (i.e. trash OR recycling...never both at the same time). Recycling Works, our company-owned state-of-the-art recycling facility in Elkhart, operates as a “Clean MRF” (pronounced “Merf” and stands for Materials Recovery Facility), which means that we recycle over 90% of the material entering the facility. A state mandate stipulates that any more trash than that would put us into the category of a Transfer Station. Some competitors use the system of a Transfer Station where recycling and trash are collected together in the same containers and trucks, compressed by an on-board compactor in the truck, dumped out onto a transfer station floor, and sorted through in an effort to salvage any recycling that may have gotten through without contamination. This form of recycling tends to have a far smaller recovery rate than what a clean MRF can give. 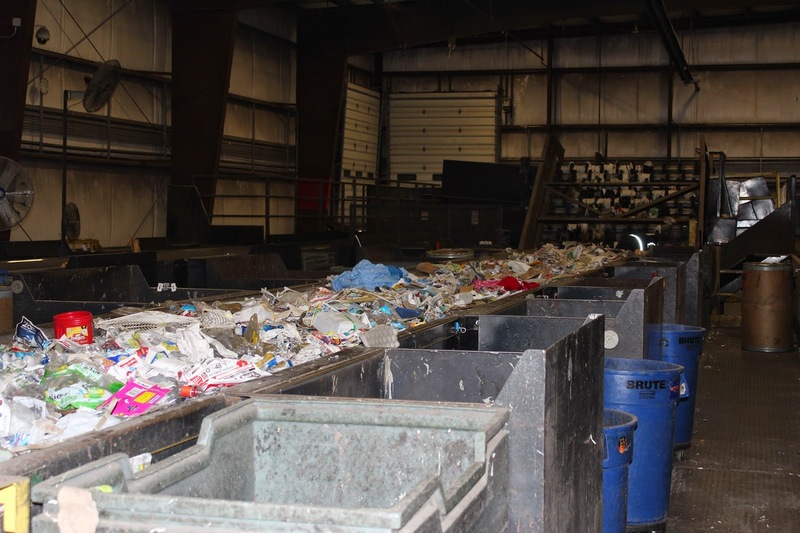 Borden Waste-Away is very conscientious about the amount of trash at the recycling facility and meticulously works to remain well under the state mandated amount. Our residential recycling is Single Stream, which means that customers are welcome to put all of their clean, unsorted, unbagged recyclables into the same container loose where it will then be picked up by a recycling truck. All of the recyclable commodities at this time are mixed until they are sorted at our recycling facility. Recycling drop-off centers are Single Stream recycling as well, but have a couple specific differences. They used to have a few types of containers and a little more sorting involved but have now begun to be labeled as "Cardboard" containers and "ALL Other Recyclables" containers. Customers having small residential amounts of cardboard can place it into the "ALL Other Recyclables" OR the "Cardboard" containers. We only have a separate container for cardboard because businesses tend to use them heavily after shipments and fill up the bins with cardboard. 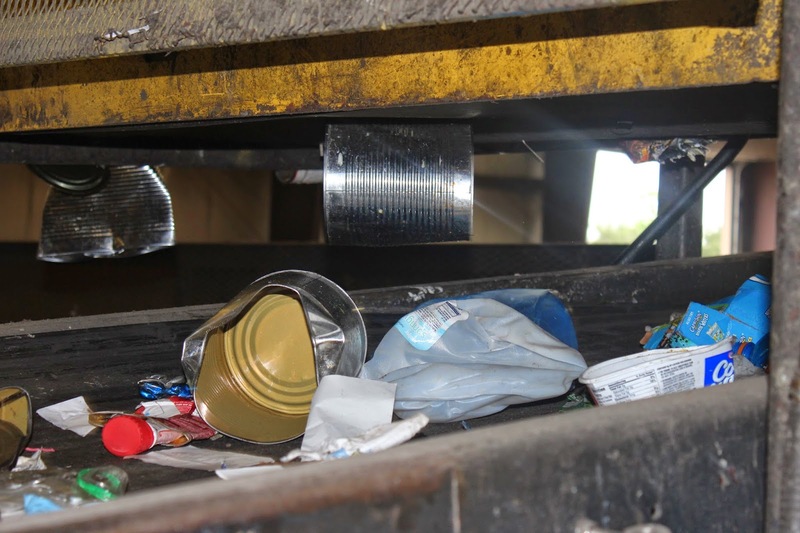 If we have dedicated containers for cardboard, they can be serviced by a truck ONLY picking up cardboard, which will then take it to a different conveyor line at Recycling Works where it is baled. This frees up the main conveyors from large cardboard when it can go in large quantities to a dedicated conveyor line. Take a look at our YouTube video of the sorting machine at Recycling Works. At Borden Waste-Away, we appreciate residents' interest in recycling and the processes available for such. Recycling questions can be submitted using the link below or on the Recycling Questions tab on the homepage of the website at www.wasteawaygroup.com. Are We Throwing Away A Renewable Resource?